The perfect pushchair for exploring! Lightweight, compact and comfy, the Be Cool Bubble has a soft, padded seat to keep your little passenger comfy on all your adventures. Suitable from new-born. 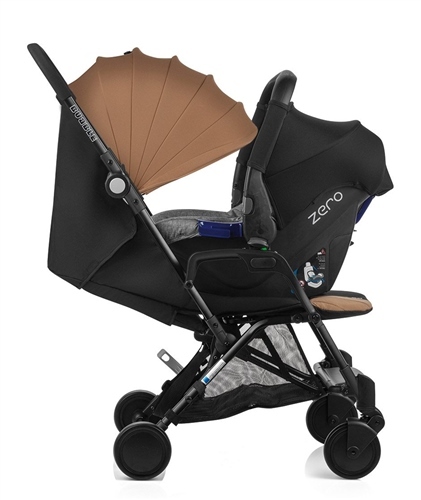 Add the Be Cool ZERO infant car seat to convert it into a compact travel system. Wherever you and your little one travel - enjoy the ride! Pushchair is very light and easy to manoeuvre even with one handle (closed handlebar). Suspension on all 4 wheels.